Naming your child isn’t always an easy task. Your decision will ultimately stick with your little one for the rest of their lives. A new study by Channel Mum has found that one in seven mums and dads feel “they made a terrible mistake” when picking a moniker for their little one and one in five admitted to regretting their choice. And it seems celebrities are to blame! 2,000 parents took the poll and one in three admitted to trying to pick a name that was original and unique. What’s more, 14 per cent of these parents have considered legally changing their little ones name because of their regret behind the one they chose. Why do so many parents regret the name they picked for their child? It’s all down to celebrities. Parents tend to dislike their child’s name if a famous person has chosen the same one. “Picking your baby name is one of the most important parts of becoming a parent – and it’s also something which everyone from friends and family to total strangers has an opinion on,” says SJ Strum, a baby name expert from Channel Mum. 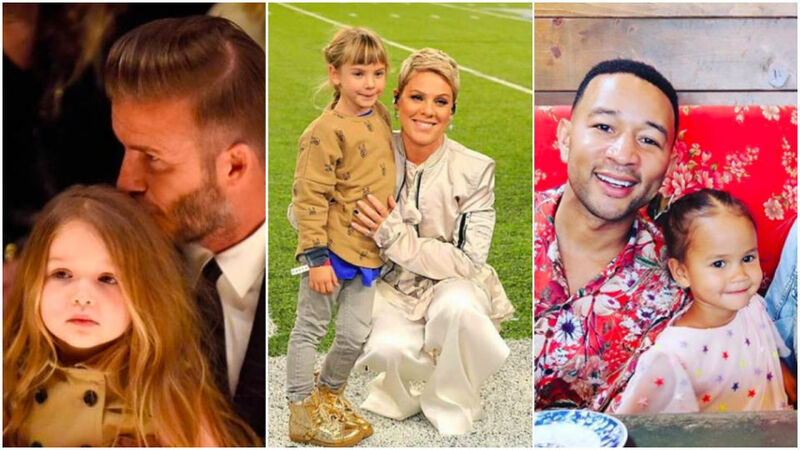 According to The Sun, there are some names celebrities have named their kids that reportedly put parents off. But it’s not just monikers belonging to celebrity kids that are putting parents off. But also names belonging to celebrities themselves, reports The Sun.